You signed a celebrity to endorse your product, you put him or her on your ads, even though you secretly know that the power of celebrity endorsement is declining. What's next? 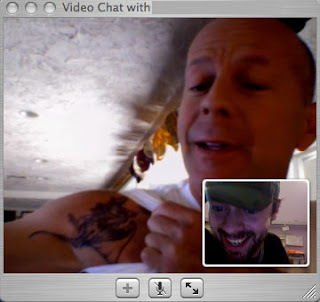 I don' think I've ever seen a brand opening access to its celebs, but see the reaction to Bruce Willis's appearance on fan forums and an iChat session.